According to the MAGNA Advertising Forecasts (Winter 2018 Update), for the ninth consecutive year, digital ad spend increased both globally and within the United States, marking this past year the highest growth year since 2010. Even without midterm elections, the FIFA World Cup, and other big cyclical events, MAGNA predicts a similar growth pattern in 2019. Since you and most of our clients are likely planning what channels are best to invest in the next year, this report couldn’t have been more timely. Let’s dig into some of the insights uncovered. Which Ad Channels Grew - and Which Didn’t? I’ll start off with the least surprising part of the report in regards to channels: excluding the big cyclical events, traditional advertising (i.e. radio, print, TV) did not see growth 2018. It’s also predicted that these sales will continue to decline by 4% in 2019. Long story short, digital ad spend is where it’s at and where it will continue to grow in the next few years. Those are huge numbers, and the report forecasts a 12% growth in digital ad spend in 2019. This rise is only likely to continue especially with mobile shopping quickly becoming the norm. So, What Does This Mean for Your 2019 Ad Planning? If you are going to invest in paid media, the channels to do so are paid search, social media advertising, and online video. You should also test out mobile versus desktop based on your audience, knowing that mobile search is seeing astronomical growth - even in the B2B space. Beyond channel investment, you may need to make an investment in your team composition and content creation. There’s a reason we added Jason Linde and Ali Parmelee, our Paid Media Specialists, to our team this past year - we knew we needed paid search and social media advertising expertise in-house and for our clients. That’s also why we brought on Zach Basner, Director of Video Training and Strategy, early in 2018. To be successful on these digital platforms, we needed stronger video content for both ourselves and our clients. 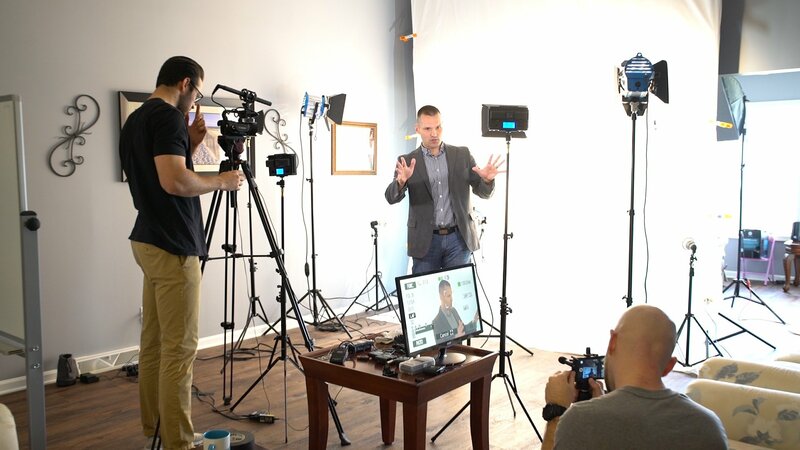 We’re seeing more and more of our clients decide to bring video in-house (yay!) so Zach consults them to hire the right people, get the right equipment, and produce the right videos. I don’t say this as a long-form advertisement of our services but to give you a glimpse behind our growth strategy and how our clients, who grew in 2018, are preparing themselves for continued growth in 2019. Rather than prepare just where you’re going to spend your ad dollars with this article, this is a great opportunity to evaluate your overall budget and investments for next year. 2019 is just around the corner. Let us know how you're preparing in IMPACT Elite!